If you regularly use a computer, whether for work or personal use, data security is something you should be familiar with. The fact is that computers have become an integral part of our personal and professional lives. Today, most everybody relies on a computer for one reason or another, and we often share very personal and confidential information with computer systems, such as social security numbers, driver’s license numbers, credit card numbers, and addresses which are gold for identity theft criminals, who can use this information to assume your identity. Or, perhaps you work in the field of finances, which means that it’s likely you’re dealing with confidential company information such as balance sheets, bank statements, cash flow statements, financial audit reports, company tax returns and other organization related financial data. This is information you definitely don’t want in the wrong hands. Or, perhaps you are an engineer with confidential blueprints and data saved somewhere on your computer which can be useful to hackers, as they can sell this information on the black market. 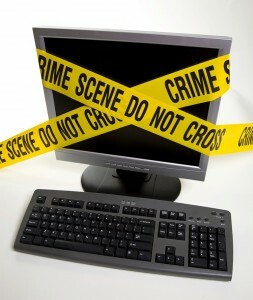 For all PC users, data security should be of utmost importance. To make matters worse, e-crime is the fastest growing crime around the globe and it does not have any borders, making it the toughest crime to prosecute. Currently, there is no international legislation between countries that would make it possible to prosecute e-criminals who have conducted e-crimes across international borders. The fact of the matter is most crimes originate from third world nations which have little or no e-crime laws; moreover, these crimes target North American or Europeans residents from countries such as Nigeria, Romania and India. Such countries don’t have or lack enforcement for crimes conducted via the internet in a different country. The first major step people should take is to invest in good firewall software which will prevent remote access to your computer. A software-based firewall is designed to control the incoming and outgoing network traffic on your computer by analyzing data packets and determining what is safe to allow through and what is unsafe and should therefore be blocked from accessing your PC. There are many options for firewall software, including Microsoft’s built-in firewall feature of Windows XP, Windows Vista, and Windows 7. Other trusted firewall software options include ZoneAlarm’s free firewall software and Comodo Firewall. In addition to using firewall software to protect your computer from internet threats, you should also utilize passwords to protect yourself from anyone physically trying to access your PC. With a user account password, you can lock your system, only allowing access once the valid password has been entered. If you have multiple users on your PC, Windows 7 allows you to set up multiple user accounts, each with its own settings and individual passwords. Personal data attached to any of these accounts is then limited to access by only the corresponding user account. Don’t assume that you are safe from internet crimes and don’t wait until it’s too late to take action. Be proactive and prevent yourself from being a victim. A security breach of your PC or confidential data can cost you valuable time and money. ‹ Windows 8 is almost here! Should you upgrade?